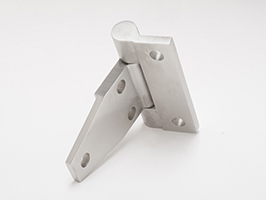 Heavy Duty Stainless Steel Tee "T" Hinges are cast from marine grade Type-316 stainless. 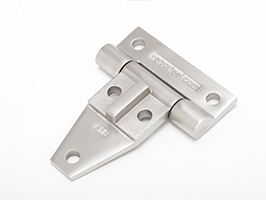 ¼” thick to 5/16” thick, our tee hinges are pre-drilled and polished to a satin finish. 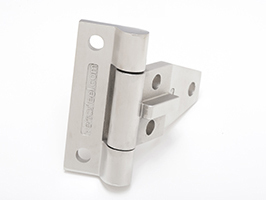 These robust tee "T" hinges come in two models. Short leaf and long leaf. Pin size in both models is 3/8” and the pins are welded and polished and closed on both ends making the hinges tamper proof. 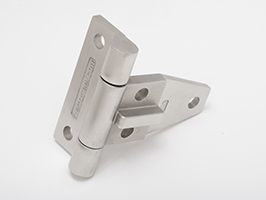 The hinge is our most popular hinge for use in Hatch construction and is suitable for use in H-20 loading applications (with proper design and support of the hatch lid).